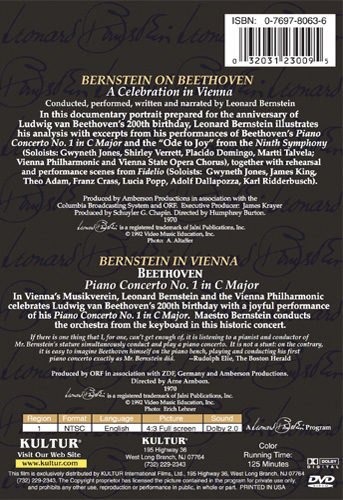 In this documentary portrait prepared for the anniversary of Ludwig Van Beethoven's 200th birthday, Leonard Bernstein illustrates his analysis with excerpts from his performances of Beethoven's Piano Concerto No. 1 in C Major and the Ode to Joy from the Ninth Symphony. 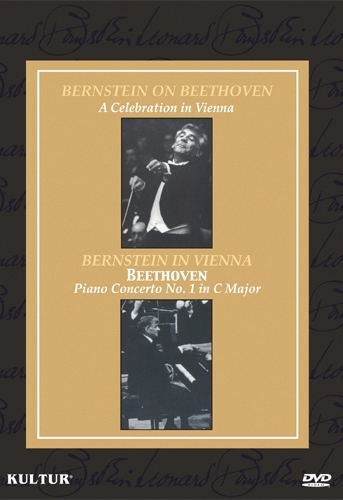 In Vienna's Musikverein, Leonard Bernstein and the Vienna Philharmonic celebrates Ludwig Van Beethoven's 200th birthday with a joyful performance of his Piano Concerto No. 1 in C Major. Maestro Bernstein conducts the orchestra from the keyboard in this historic concert.